If you have an infinite budget or endless amounts of time, then reading this post will be a complete waste of your time. Before you go though, please fill me in on how one can acquire either of those. What sort of budget do you have available? What is your link building plan? Your budget is essentially the inverse to the amount of time you have at your disposal; a substantial budget can substitute for minimal amount of time or vice versa. Be aware that if you are lazy or don’t have the time, you will be paying a markup when you don’t do things yourself. A large budget will allow you to outsource some of the work load; something to consider when outsourcing is that you get what you pay for. If you pay the neighborhood kid only $2 to cut your lawn expect a shabby performance – he might even “accidentally” mow down some of your favorite garden flowers; however, if you pay a professional service $100 to cut your lawn you can expect them to weed whack the grass next to your stone wall. With regards to websites, a reputable and professional content creation company will deliver quality results, whereas a person you found on some forum is likely not going to provide an expert article in your niche. So ask yourself this: When (and if) you ask another webmaster to link to an article on your website because it serves as a perfect resource for an issue that they were discussing, what type of content are you pushing? 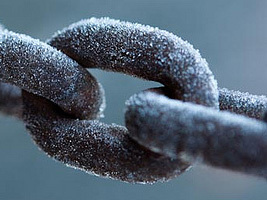 A whole other topic to examine is, do you consider purchasing links while link building? Obviously this is a risky business, but there are ways to reduce the risks involved. Personally, I’d avoid the area all together and concentrate that time and money on creating quality content and relationships instead. Another way to spend that money more effectively (since it is a one time fee) is to purchase related established websites or keyword rich domains; what you do regarding the relationship between these and your own websites depends on what color your hat is. So how are you spending your time while building links? Are you blog commenting and networking with others? – Bouncing and challenging the ideas of others is a great way to gain exposure. Are you utilizing social bookmarking and submitting your website to directories? – Getting your content out there will increase exposure and the likelihood that others will link. Are you writing unique and interesting content? – Link baiting is a fabulous tactic of generating backlinks. Utilize a variety of link building strategies and diversify your link profile. If you have a diet of only rice, how are you going to fare with survival compared to an individual that has 100’s of foods to choose from? It is perfectly fine however to take advantage of certain approaches that provide more results than others; this will take quite a bit of experimenting to see what produces the most value. If you like steak, eat steak; just understand that to survive you will need to eat other types of food now and then. Examine and evaluate your budget, time, and plan prior to initiating your link building. Look at how you can best use your resources to provide the maximum amount of benefits. Whether you are looking at effective resource management in serps or in link building, the same strategy follows: take what works best and (ab)use it while still rounding out your link profile.